Is 'Assassin's Creed IV: Black Flag' the last significant game in the series? 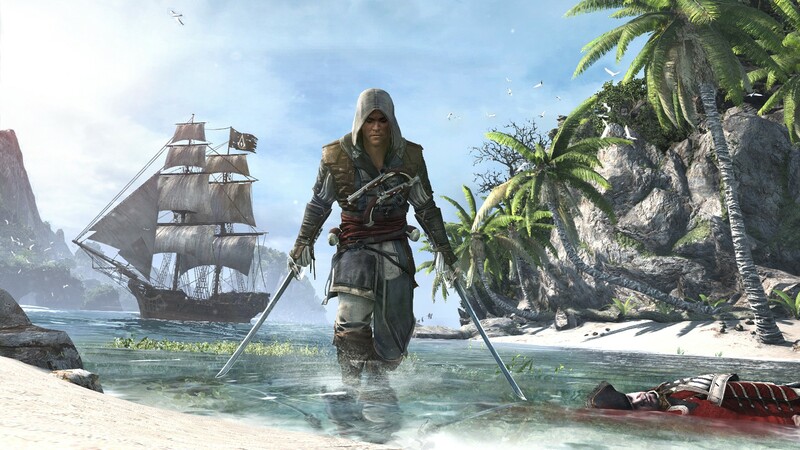 Is ‘Assassin’s Creed IV: Black Flag’ the last significant game in the series? All good things must come to an end; even annual blockbusters that generate millions of dollars. Eventually, Call of Duty will be replaced by another more addictive shooter. After that, it could be an entirely new genre that draws millions of people to GameStops (or digital retailers) each and every year. Tastes seemingly change with the seasons, and a perfect example of this shift in brand loyalty can be found when exploring the history of Assassin’s Creed. During the days of the PlayStation 2 and the original Xbox, it was the good ol’ Prince of Persia who drew his publisher’s attention. This revival of a classic franchise made for a powerful, inventive trilogy that seemed likely to dominate the world of action-adventure games for years to come. With his blanched cloak and propensity for climbing tall towers, the not-so-silent assassin shoved the time-bending Prince out of the limelight and into obscurity. A new Prince of Persia attempted to rekindle the series’ fire in 2008, but it was clear who the new golden boy was for Ubisoft. Since then, there have been seven Assassin’s Creed games: five on home consoles and two portable adventures. The sales and critical reception have remained strong, but as previously stated, nothing stays popular forever. Black Flag, a pirate-theme sequel, is expected to launch on current and next-generation platforms this fall, but the “buzz” around the game is minimal compared to what we’ve seen in this past. Why? Sequel fatigue, for one. More importantly, though, is the other game Ubisoft is releasing this fall: Watch_Dogs. Both the media and general public have been going bonkers over the stylized, technology-driven world of Watch_Dogs. It has a fresh look, novel concepts and integration of online features in its single-player campaign. Everything about this yet-to-be-released franchise looks absolutely sharp, and it’s likely that the publisher will do everything in its power to get the game in the face of the general public before too long. Is this situation starting to sound familiar? It should. Watch_Dogs isn’t a proven product quite yet, but the second the cash starts pouring in, expect Assassin’s Creed to become old news. The sneaking and stabbing conducted within the Animus has been a blast for millions of consumers. Honestly, the success of the franchise is probably larger than anyone could have ever predicted. But the times, they are a changin’. Assassin’s Creed happily replaced Prince of Persia back in 2007, and now it’s time for Watch_Dogs to take its place. Should we scold Ubisoft for the shift? Absolutely not. This is a smart business decision and more than ever, video games have become a business. So, all fans of the Creed out there (whether the video game series or that rock band whose CDs you undoubtedly own), embrace Black Flag. Not because we all think it’ll be the high point of the franchise, or because of its innovations in game design. Instead, take it as the Assassin’s swan song. It’s likely that there will be another Assassin’s Creed game down the line, but unless everything about the mechanics is flipped on its head, expect this “fourth” game to be the last significant entry. We’re moving on to a new generation. And I don’t know about you, but I’m ready for a new group of software leaders to boldly shift what we think a video game can be. Am I absolutely off base here? Do you think this will be the biggest game in the series, overshadowing Watch_Dogs? Let me know what you think by leaving a comment below!